Prolific actor John Michael Higgins dissects what it’s really like to work on Christopher Guest movies & act opposite Tina Fey on ‘Great News.’ Plus, the scene-stealer on what ‘Pitch Perfect 3’ has in store, & why the notable improviser prefers a script. 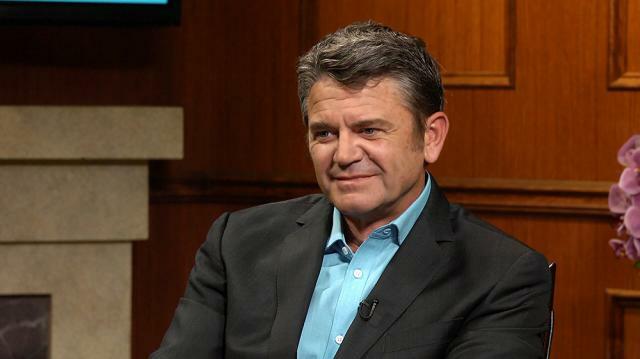 Larry sits down with prolific actor John Michael Higgins to talk about his return to ‘Pitch Perfect 3’ and his new comedic role in ‘Great News’. Known for his roles in the ‘Pitch Perfect’ franchise, ‘Best in Show’, and ‘Bad Teacher’, John Michael Higgins currently stars as Chuck Pierce on the NBC comedy ‘Great News’ opposite Nicole Richie. John discusses his journey to being cast on ‘Great News’ by executive producer and colleague Tina Fey, and his habit of playing ‘blowhard’ characters. As a comedic performer, Higgins states that he takes his characters seriously and sees his new show ‘Great News’ as a drama. Higgins also reveals that his claim to fame film ‘Best in Show’ still gets him recognized on the street, despite it being 20 years old. John Michael Higgins shares details on his involvement with ‘Pitch Perfect’, his friendship with Elizabeth Banks, and working with the legendary Christopher Guest. Larry reveals John’s secret family nickname, and Higgins reminisces about his comedic idols. John also answers social media fan questions, and plays a game of ‘If You Only Knew’ with Larry.